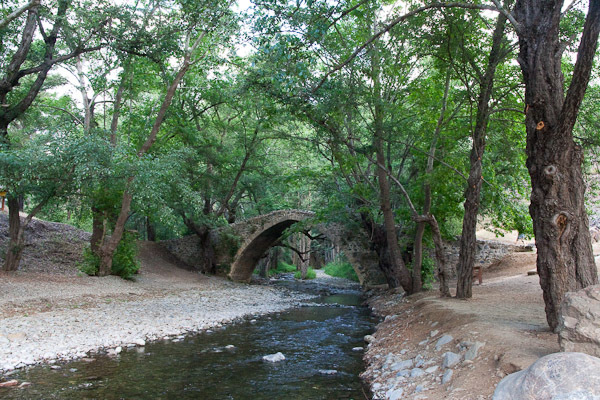 The mountains of Cyprus – Troodos » Troodos, Polis, Tzivania, Poliss, Tsamarela, Halloumi » tobias cooks! The second day we drove up to the Troodos mountains. As soon as we left the coast the tourism got less and less. Soon we found ourselves in idyllic wilderness and lots of green. Small mountain villages are spread out throughout the mountains and valleys. The village of Omodos was our first stop. 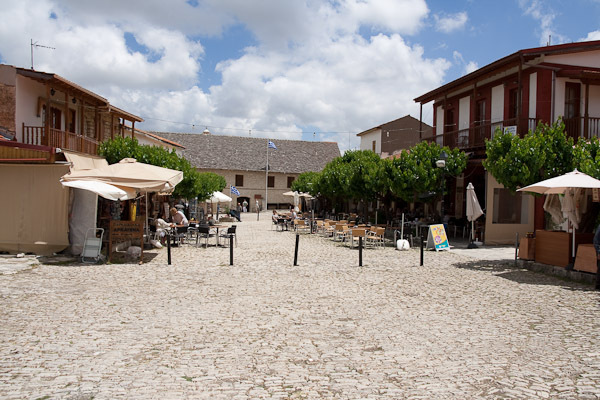 After a stroll through the picturesque village center we found a little traditional tavern. Polis, who runs the Makrinari Tavern was a great host. 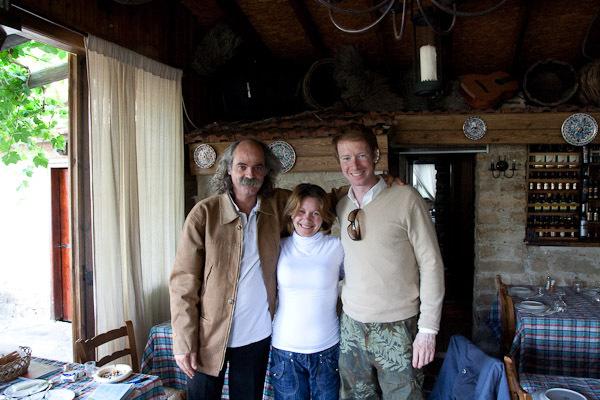 He introduced us to his self made treasures while he served us great local Tzivania. 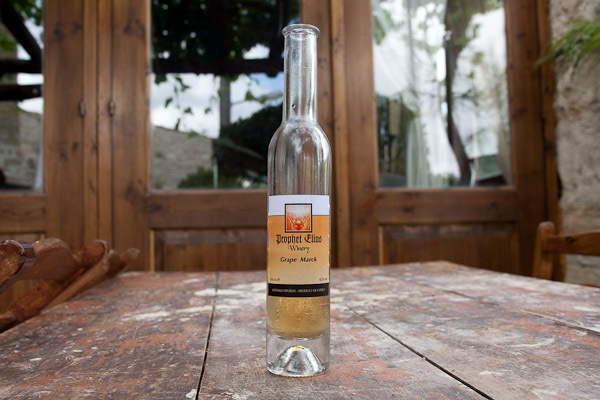 Tzivania, is similar to Raki, Tsipouro or Grappa and is served chilled. Tsamarela is sun baked meat of goatling. The raw meat is being salted and then covered with foil. It is placed in the sun for three to four days and then washed in warm water to remove the salt. The goats is Polis’s own. He keeps them as well for milk. The milk is used for Halloumi cheese. 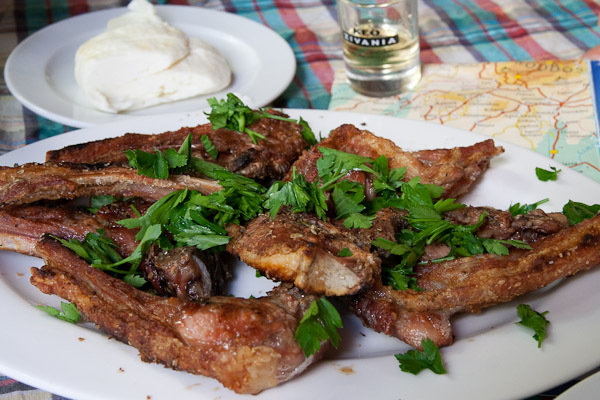 The grilled “Paedakia” – were the best lamb chops that I have had in a while. One could taste that the local meat is just juicier and that the keeping and feeding of the animal makes such a difference to the quality of the meat. Here is Polis with his helper and me. 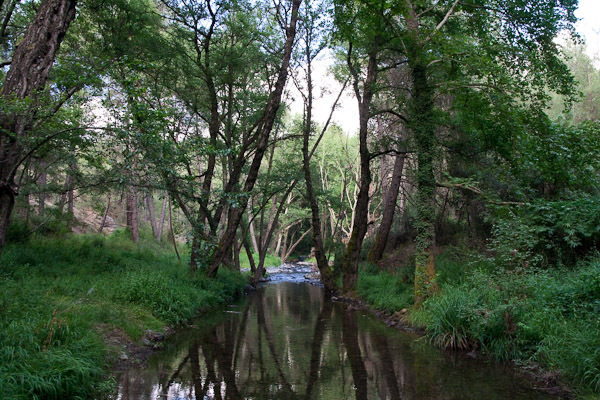 We ended the day with a fantastic walk along this stream. A beautiful and quiet day, far away form the buzzing coast. Up in the Troodos area in central Cyprus. I am glad that you have discovered some of the beauties of Cyprus. Omodos is famous for its Arkatena bread, which is made with fermented chickpeas. 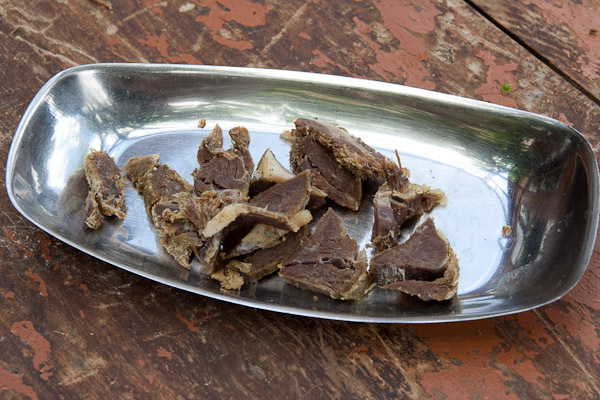 I am not a big fan of zivania or tsikoudia or raki and tsamarella, although it tastes great, I hate how chewy it is. 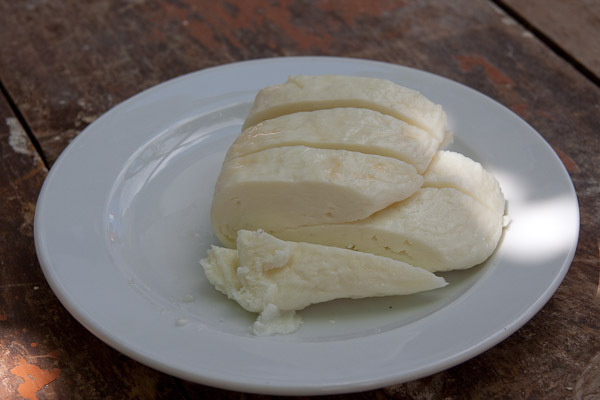 I see real halloumi in the picture, which cannot be compared with what we get at the supermarkets. Hope you liked it. Looks like a magical place. Thanks for stopping by my blog and giving me the chance to find yours. I’m always game for another good Greek meal – and your blog is terrific. What a fantastic day. I am transported! That halloumi looks wonderful and the goat is so interesting… baked in the sun… amazing! Thank you for sharing your beautiful travels. Glad you found Makrinari Tavern, it’s a little off the beaten track but is fantastic, we’ve been going there for a few years now as the food and the welcome are amazing. We actually stayed at the Makrinari Tavern in 2009 and we are staying there again in the Summer of 2011 at the appartments above the Taverna. Polis is a great host and always tries to get you to start the day with a shot of “Famous” (Grouse) as he calls it. We love it that much that we hope to relocate there some day soon.